I have only been in one; the name was Levitate, but the name was always changing. It was a small pvm, still is actually, clan; I might go back but I am unsure. They are great people, but not very active. 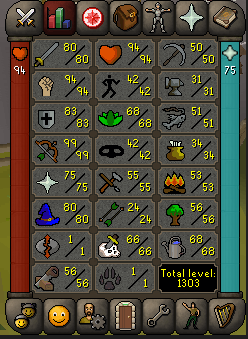 I myself just stepped away from RS for college. Now that I am coming back, I want to return to a more active clan. I am a 27 year old male. I am in my final semester of college at the University of Michigan. I major in philosophy. I live in the United States of America. Ancient Greek translation is my favorite hobby outside of general reading or light exercise. What makes you want to join us? I really want to become a more complete player. To do this, I want to become able to boss effectively. 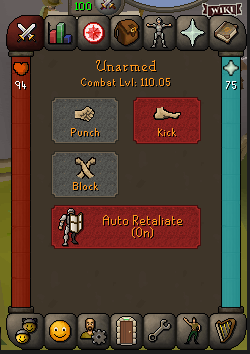 I trained my combat a lot at the Nightmare Zone, which I am realizing leads to my not understanding basic combat tactics. I hope to remedy this by joining a community of individuals with varying levels of experience and with the common goal of enjoying pvm. Come clean about anything that may deter us from accepting you: No botting, but I have purchased some gold in the past. I am ashamed to admit this and find it ruined my Runescape experience. This is one of the reasons I stepped away recently after coming back to Old School. This time back, I will earn all my gold through pvm and I will not cheapen both my gaming experience and our gaming community of OSRS players through such acts. GL with your major! What do you want to do with it, just curious as I don't know much about philosophy.